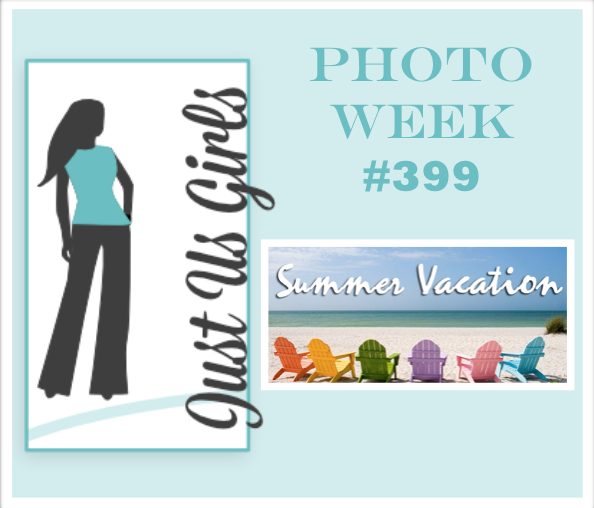 Hello Friends, We have the PERFECT photo for you this week at Just Us Girls! It spoke to me as I am smack dab in the middle of my Summer Vacation from school. This card didn’t end up as I planned it in my head but it will do. Don’t you just love those little flip flops? They are from Impression Obsession. The beach ball, sunglasses and bag are from MFT. The sentiment is something I picked up at Michaels and the Sun die is from Lawn Fawn. I would also like to thank our Guest for being with us this month! Estelle…I hope to see you back in the gallery from time to time we do enjoy your work! Categories: Cards | Tags: Card making, Cards, friendship, rubber stamps, stamping, Thinking of you | Permalink. This whole card looks like a fun vacation that anyone would want to go on. Such a cute card. Hope you are enjoying your summer vacation. Hugs. 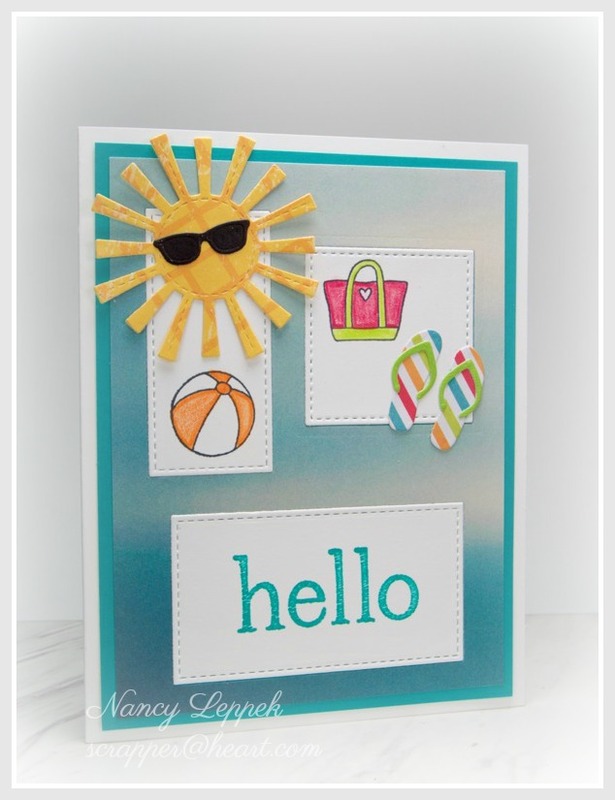 A fabulous and fun summer card design. Love the sunglasses on your sun! Well Hello Sunshine! Love the summery elements you have here and those sunglasses are a perfect finish. Wow, that’s a lovely and fun summer Card! Love the sun and the glasses – very cool 😉 Please visit my challenge blog at Do-Al(l) Kreatives and show your amazing creation on it. I would be very glad if you do that! Very cute and fun summer card! Don’t you just love when you can mix so many different stamp sets and come up with something great! Everything you need for a great summer vacation is on your card, Nancy. Well almost. I’d need some s’mores to complete the picture. This is so cute! I love the patterned sun and flip flops and that background is awesome! So perfect for summer vacation. Oh Nancy we are having a gloomy cool day here in the Black Hills that make me wanna live in your card!! so sweet and fresh I love it!! Nice job friend. Super cute card, I love all the elements. This screams Summer Vacation. I like how you have done the white panels too, great design!